It's that time of year folks! Dare I say it..... Christmas is just around the corner!!!! Now for some, the shopping has already begun and is in full gear. For others.. let's just say they are really thinking hard about what to get for the special people in their lives :) ...or maybe there's a bit of procrastination mixed in there! We wanted to help those "struggling" with their shopping list and share some awesome ideas that will be appreciated and received with love! Today's find comes to you from Chapters Indigo! *Oh how I love this store! I simply can't help myself! * I'm like a kid in a candy store!! Sit by the fire with a good book and these cozy Indigo Reading Socks! Styles for men, women and children, there is something for everyone! ....Here's an ADDED B-O-N-U-S ...... Plum Rewards ! Clcik the above link and get started! 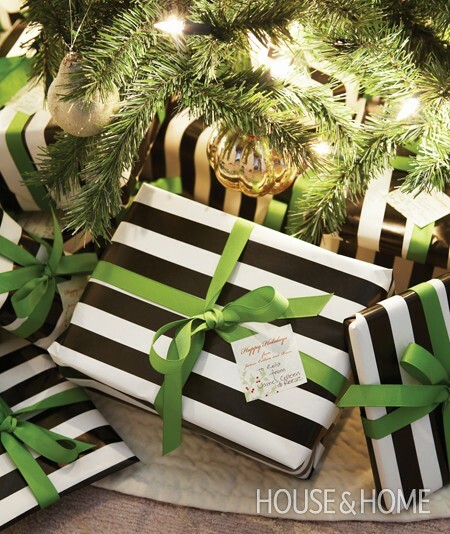 Why not try this when tackling your gift wrapping?!? We love the way this looks! Very sharp! Just wanted to wish all our friends & family a very Happy and safe holiday! Enjoy this time with your family! 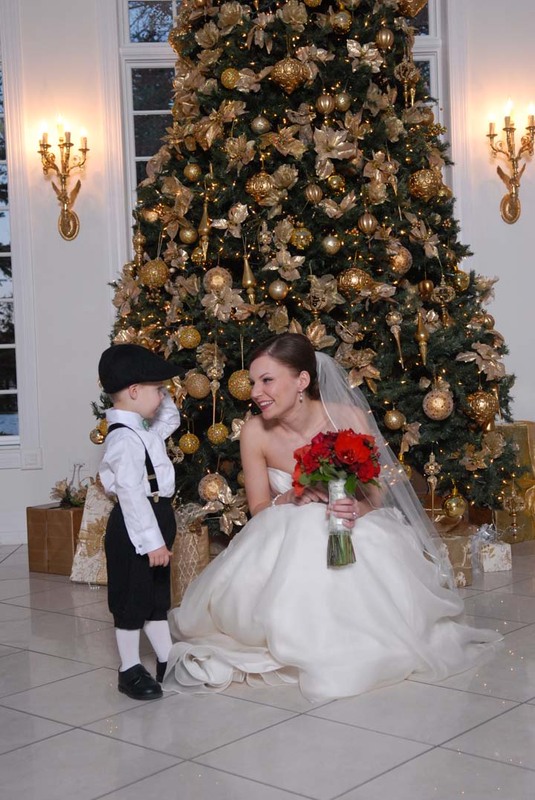 Theme Thursday~T'is the season to get married! With winter coming and Christmas around the corner, what better than a feature on Christmas themed weddings. A time of joy and festivities only made better by a wedding celebration to make you and your family feel all warm and fuzzy inside! Perhaps your fiancé popped the question last December and as homage to the anniversary of the proposal you chose to have a Christmas themed wedding or it is something you thought of but could not visualise? 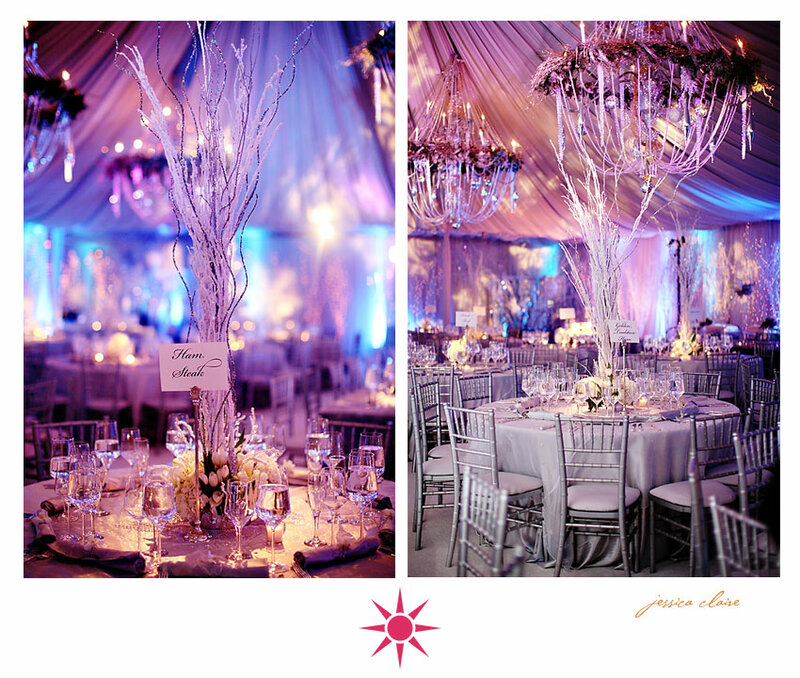 Either way here are a few ideas for your wedding that exude elegance and really capture the holiday spirit. We hope these "jingle your bells" all the way! 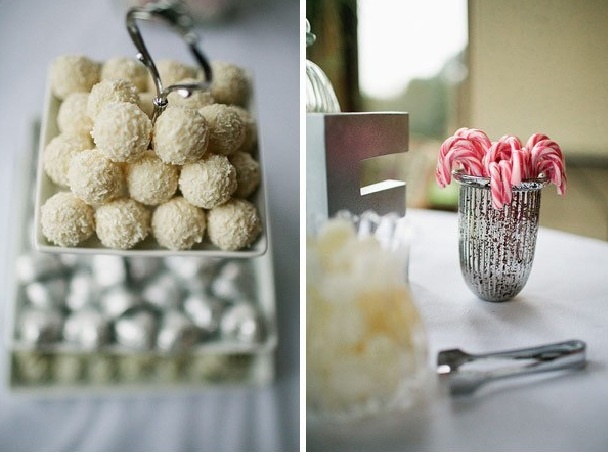 The décor and dessert/sweets selection feels as crisp as winter morning yet indulgent at the same time. 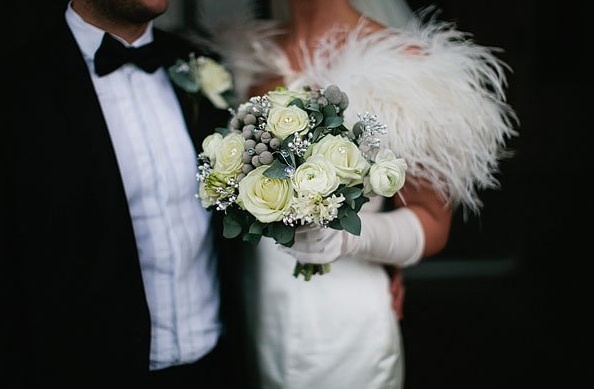 The feathers on her shawl and long white gloves adds a fairy tale like feel whist also keeping her warm! 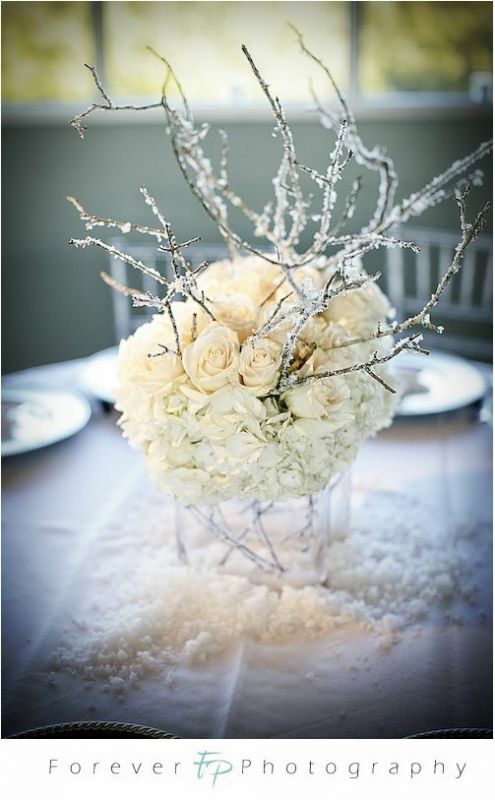 Combined with the white roses and frosted berries bouquet, she looks like the perfect Christmas bride. 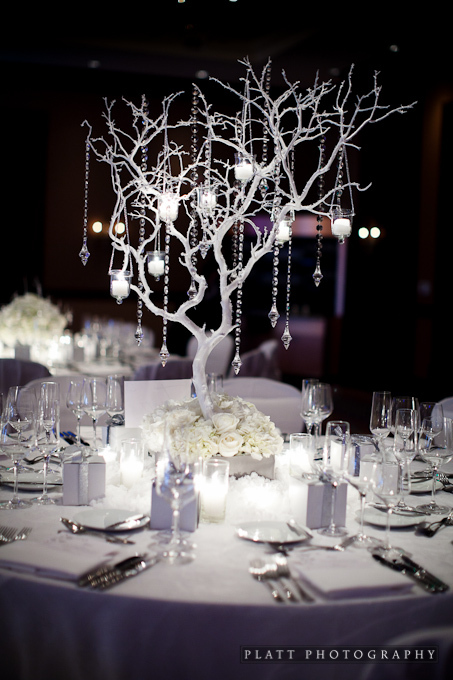 Take a look at some more inspiration for your Christmas themed wedding! This wedding has some stunning green in the colour scheme and it is wonderful!!!! Choosing the right shade of a particular colour can make all the difference. I think the bride nailed it with this one! 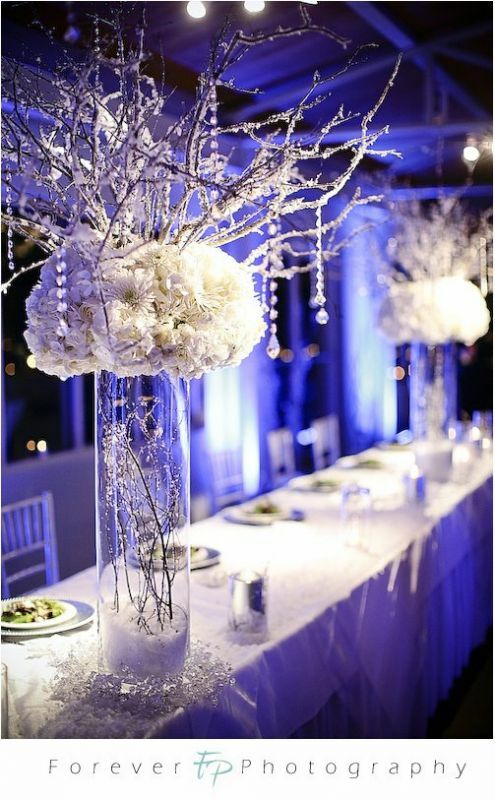 Another way to "holiday" up your reception is to focus on the guest tables! Let them experience that "Winter Wonderland" feeling all night long! It's all about ambiance!!! 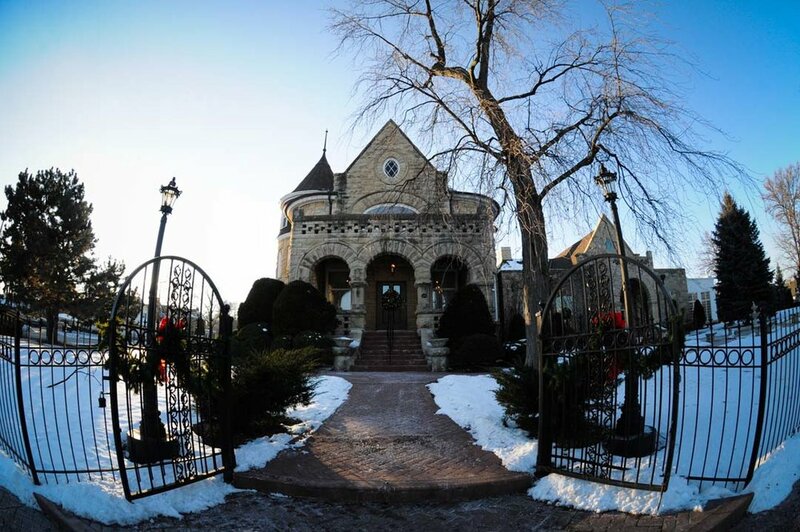 So much inspiration for a Christmas themed wedding and we've only scratched the surface! Stay tuned for more!